Monopoly is a classic board game that has been a crowd favorite ever since 1935 when it first hit the home gaming scene. The Parker Brothers game has become so popular over the past almost century that there’s practically a version for everyone’s interests. Still very much in style, millions of people spend hours playing this game today. And when I say hours, I mean literally HOURS. No one wants to go down without a fight! Say goodbye to Marvin Gardens and Boardwalk because there are countless editions to meet anyone’s favorite fandom desires. Pop culture Monopoly editions include Nintendo, Cat Lovers, One Direction, Pokemon, World of Warcraft, Stranger Things, Game of Thrones, Rick and Morty, and even The Walking Dead. And that’s just a VERY short list compared to all the editions out there, by the way. It seems every industry has hopped on their chances to create their own version of the game and let me tell you – it’s working. What started off as a simple board game has been created into every fans dream. If you think there isn’t something out there for you, then you might be mistaken! Click here to find a list of some other editions. As a huge fan of Disney Monopoly and Dog-opoly myself, I have played the game countless times with my friends. It’s a game that people either love or hate or, the third, hate to admit you love. Regardless, pretty much everyone has played the game before. But did you know that some of the House Rules you’ve been playing by for forever actually aren’t rules?! 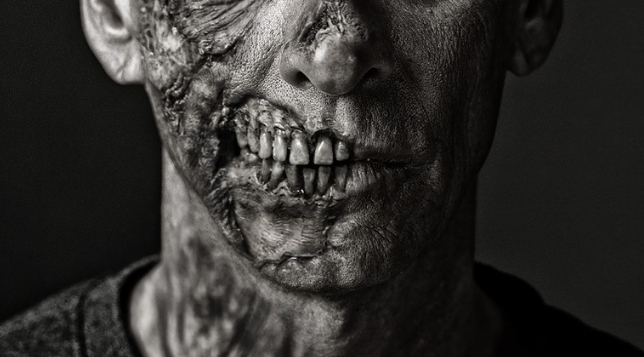 Here are three of the most shocking rules I’ve come across – I was surprised myself when I found out. One of my favorite House Rules is Free Parking where you get all the money from players’ taxes and fines. It’s so not a real rule, though! There’s no jackpot for landing on Free Parking. It’s technically just a free space. All of that sweet Community Chest and Chance money is the property of the bank. Huge bummer, I know, but I like the House Rules version and intend to stick with it! Another common not-real-rule is if you land on a property that you don’t want to buy then you move onto the next player and the game continues. According to actual game rules, if a player lands on a vacant property and chooses not to purchase, that property goes into an auction for other players to bid on. In all my years of playing Monopoly, I have never had anyone play like this before. I think it’s just an unspoken rule to just continue to the next player. Monopoly experts would tell you that it’s in your best interest to buy every property you land on anyways so this rule wouldn’t come into play too often unless you couldn’t afford to buy the property. This benefits you in two ways: by having the most property on the board and making sure your opponents are less likely to get a Monopoly. You know when you land on Go and don’t pass it? Some people give double the “pass Go $200” when this happens. Getting $400 instead of the standard $200 is also not a rule. I have always loved the extra incentive to land on Go rather than just passing it, but c’est la vie, that also is NOT in the official rules. It is up to you whether you continue to play with the game’s given rules or your own House Rules, but personally, I think it’s more fun to come up with your own way to play. I’ve been playing for so long it doesn’t seem right to change the rules all of a sudden, but maybe I just love that extra $200 for landing on Go! Pining to play this classic board game with your nearest and dearest? Bookmans carries various editions of Monopoly, and with the wide variety of titles available and customers always bringing new ones in to trade, you never know what you’ll find on our shelves. 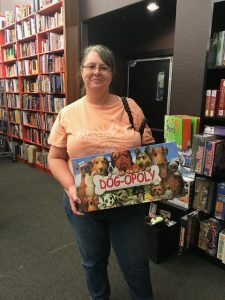 I happened to find someone buying my favorite edition: Dog-opoly. We also have Scratchopoly, Bibleopoly, Monopoly Empire, Star Wars Monopoly, The Simpsons Monopoly, Scottyopoly, Phoenix Scene Monopoly, and of course regular Monopoly. As always, House Rules optional.